The other day I was perusing Mashable and I found this video by Seth Godin in which he explains how businesses should change their focus in the down economy. It is short, but worth watching. If you don’t know who Seth Godin is, he is the author of many popular business books and a speaker with appearances at Google, TED and a number of charities. Godin popularized the topic of permission marketing. What advice do you have for online businesses and other startups in this down economy? Short but good poins are made, I always like the ideas of seth godin. Now that is fine advice. He puts it so simply yet so precise. I’m in a field that I’m already irreplaceable and this really makes me feel good people are getting more specialized. Nice video. Economy going down hill yet i don’t think about reducing cost for my services which other companies already did. If i’ll face any prob. in future will come up with some special offers but won’t down my prices. Very useful advice. I like it. So accurate :-). Economy is going down hill and there is always some ways to use this to get more money. Funny :-). Seth Godin’s advice is spot on. Its during economic downturns when the real innovations and innovators pull away from the pack. There’s no such thing as a recession online… Thanks for keeping me motivated! Now, when the economy is going down, is the best time for start-ups, when those companies, which wasted “excessive” money during good times, have to cut their costs. In other words, competition is becoming weaker, and that’s an excellent time to step in, isn’t it? Wow! 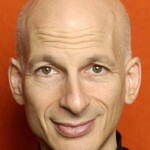 who hasnt heard of Seth Godin! Good post. Buy 2 get 1 free, 50% discount on particular products, free dvd players on selected products. Many more i’ve in my mind. What’s your thinking? What you need at the moment is some kind of “Beat the recession how to” social network. Somebody always makes millions if not billions from every recession. You just need to think out of the box. Seth Godin is always my favorite idol in online. He is one of the reason I blog today. Wow, I didn’t know Seth spoke at TED. Can’t wait to see his speech! this man have a big experience we all should listen to him even it is short video . Apart from the very valid things that Seth talks about, I shall simply state this. In a down economy, the market does not disappear. It shrinks. It means that you have to go after a larger piece of the pie than your competitors. You need to do everything necessary to achieve that single purpose. 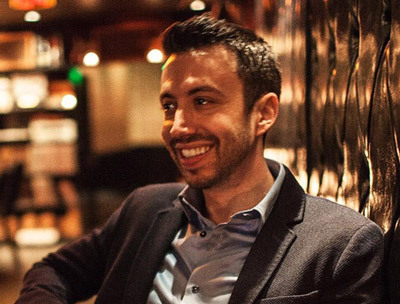 Seth is a legend, and he sure has good value to add by sharing his insights and experience. Thanks for sharing, this one deserves the StumbleUpon thumbs up it just got! Ummm, make that a review, seems I am the one who discovered this page! Hope it drives some traffic for you guys! Seth is a stud. “How do I build value today?” is definitely the right question. I’ll have to post that on my wall here at the office. Very useful tips! He has extensive experience in this. We need to think about. That’s awesome! He is one smart guy… Good Luck with it! What are some Key things that you need to master in order to have a highly successful website like squidoo? during this hard economic times, indeed some people can get very rich. step by step plan for us to succeed. On question: where could I get a listing of all these internet language and jargons? Many people think that recession is an awful time to start making money on the internet. And this is exactly why it’s easier to start doing it now – there’s a lot less competition. Actually, it is getting to be better than all of us had anticipated. The bad times are not so bad after all! I love his book ‘The Dip’. He did well at establishing himself as an expert. Thanks for the vid. It appears as though this video has now generated a cult following. It will be interesting to watch how many implement what he says and how many of them succeed! Thanks Nate for sharing such useful video with us.It really motivates us & keeps us optimistic.There is no down economy in this internet world. Nice video….Well, this is really worth watching 🙂 its so accurate..
Seth Godin, oh wow. In only 2 minutes and 37 seconds he was able to put powerful ideas in there. Thanks for sharing this video. Economy isn’t looking as good, this was helpful and accurate. Thanks again! I was a little worried attempting to restart my online business during this recession, but I too had the opinion that this would result in less competition. On the flip side, with the massive layoffs, many other people may be trying to make a buck online. So I guess that does add competition, but likely not serious competition. Yes Seth seems like a very smart man. I guess you need to be to have several successful books and to start a massive network like squidoo. I think I’ll have to find some more of his videos and see what else he has to say. Seth Godin does preach mostly common sense. His skill is the knack to add quirk to the examples keeping us engaged. As with Purple Cow and his other offerings, there aren’t any lightening bolts in his new book TRIBES, just an interesting take on current and historical topical issues and events.